Three-weight World champion, Miguel Cotto announced on Twitter that his next fight will be on the 1st of December, and his opponent will be the undefeated WBA Light Middleweight belt holder, Austin Trout. Cotto was rumoured to fight Manny Pacquiao in a rematch, so the announcement that he will be fighting Austin Trout came as a big surprise for most boxing fans. 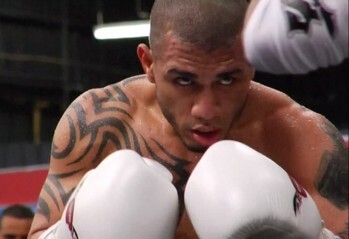 From the opinions I've read so far, Cotto is a big favourite, and he should be. He has fought the better competition, and has fought at World Level for a number of years, Trout has obvious talent, but he hasn't fought the big names in his weight-class. So I'm not surprised that Trout is the under dog for this fight, but I'm going to disagree with the majority of fans and pick Trout to win. I think this fight will be as close as the Mayweather fight. I'm not saying Trout is as good as Mayweather, I just think he will box for 12 rounds rather than trade in parts like Mayweather did against Cotto. Trout has fast hands, feet, good defence and is a good counter-puncher. I think the guy's who know how to box give Miguel the most problems, like Mayweather and Zab Judah. Trout is inexperienced, and Cotto is a warrior so he will have his moments, but I'm picking Trout by competitive decision. This is a very interesting fight, credit to Cotto for taking on all challengers, what do you think of this match-up?